The application process for the fifth edition of PowerUp! begins on February 11. The contest, organized by InnoEnergy, is the largest start-up competition in Central-Eastern Europe, including areas such as energy, mobility and smart technologies. Participants have the chance to compete for a main prize of EUR 50,000 and the opportunity to develop their business on a global scale. The competition not only offers a promising financial prize, but also the opportunity to join InnoEnergy’s prestigious business accelerator. The Highway® program, aims to develop start-up projects and adapt them to the European market. Those who join the program can expect support within a wide range of topics from legal and IP protection, to pitch deck design, to agile methodology, and more. Other benefits include accessing international clients, as well as financial investment up to EUR 150,000. This edition there will be a new distinction within the competition for the “Clean Air Challenge”. This merit will be awarded to a start-up whose solution will contribute to the reduction of air pollution and smog. InnoEnergy is a key player in the Clean Air Challenge launched in October 2018 in Brussels. With every edition of the competition, the number of participants has doubled. In the 2018 InnoEnergy received over 300 potential candidates, out of which 10 from Romania, therefore it is a fair estimate that the registration for the 2019 edition, which ends on 11 March, will end in further success. In the past two years, the applications have grown both in scale and in quality. Applications with ready-made prototype have dramatically increased from 28 prototypes in 2016 to 120 in 2018. The same increase can be seen in applications with a functioning product or service (from 19 to 93 respectively). “The number of participants is growing every year, combined with the fact that the start-ups which apply increasingly have projects in their portfolio on an advanced stage of development, shows the increasing recognition and rising prestige of the competition. PowerUp! opens the door towards development for courageous innovators from Central-Eastern Europe and enables them to access our international network of business partners. Participants applying to this contest can also see those benefits,” explains Jakub Miler, CEO of InnoEnergy Central Europe. Particularly desirable solutions – products or services – in the competition include projects in the areas of energy, mobility, clean air, heating, cleantech, and smart technologies. Start-ups that pass through the application stage will be invited to participate in bootcamps run by recognized European business mentors. These workshops will prepare participants for the national finals and the Grand Final, in which they will present their ideas to experts. 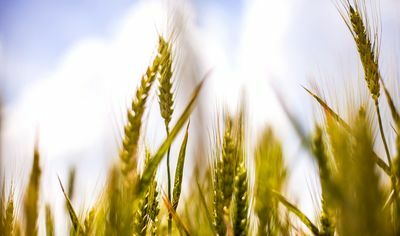 The winner will be selected on 21 May in Krakow during Impact’19 – one of the most important economic events in Central and Eastern Europe. 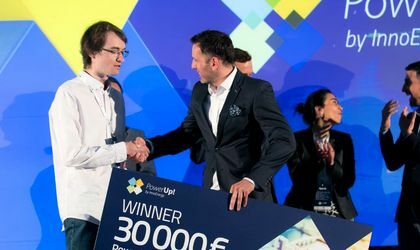 The 2018 international winner of PowerUp! was Zubax Robotics from Estonia, which presented a solution to drastically reduce energy consumption in future mobility solutions. Detailed conditions of participation, an application form, and all of the necessary information are available at https://powerup.innoenergy.com/. The deadline for registration period is March 11th 2019.